June 22, 2011 – Alabama based sports radio host Paul Finebaum missed a golden opportunity to for once be a voice of reason on Tuesday when he failed — and failed miserably — to counter the salacious, misleading and completely baseless information first posted by sports blogger Brooks Melchior on his Sports by Brooks website. On Monday, Brooks stretched the bounds of credulity by attempting to make a connection between pay provided to student employees at Auburn and the voluntary duties some of those students perform as members of the Tigerettes and Tiger hosts. The implications made by Brooks and the inferences drawn are nothing more that crass, vulgar gutter journalism. On Tuesday, Finebaum had the opportunity and the responsibility to expose that report for what he surely knew it was. He bailed. Finebaum knows his audience. He understands his purpose. At one point during Tuesday’s show, Finebaum admitted that he’s no longer in the journalism business. Instead he’s in the entertainment business. Unfortunately truth, legitimacy, honesty and reality are not typically canvasses on which an entertainer paints. Finebaum had the chance to restore some journalistic integrity to his show. He had the opportunity to be a journalist first and an entertainer second. 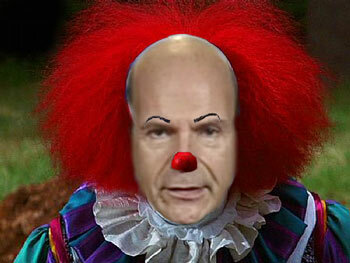 Given the choice of being a responsible journalist or a carnival barker, Finebaum chose the big top. Step right up, ladies and gentlemen! See the bearded lady! Feast your eyes on the two-headed dog! By the time Tuesday’s show hit the airwaves at 2:00 CST, Finebaum had been aware of the rumor and innuendo posted by Brooks for more than 24 hours. He knew that Brooks had erroneously attempted to connect dots between payments to Auburn student employees and the unrelated service of some of those employees as Tigerettes and Tiger Hosts. Finebaum had plenty of time to check the veracity of the report and provide a reasonable and rational response. He opted to do no follow up. Rather than making the minimal effort to verify or debunk, the host of the self-proclaimed most powerful sports radio program in the country pretended to be puzzled by the report. “What is he really trying to say?” Finebaum asked numerous times prior to allowing his callers to provide their own often shockingly inappropriate interpretation of the information contained in Brooks report. Finebaum is an intelligent man. There’s little doubt he knew the truth. He knew that the report by Brooks had no substance. Numerous media outlets, including the Never to Yield Foundation, provided information that debunked the Sports by Brooks report. Finebaum could have clearly and concisely articulated that the report had no substance and in doing so put an end to the absurd and disturbing rants that punctuated his show. He could have firmly and consistently repeated the obvious truth to callers who spiraled off on tangents. He could even have instructed his call screener that he was not going to take calls related to the non-topic that was the Brooks report. He did none of those things. Instead, Finebaum allowed caller after caller to heap outlandish speculation on top of utter falsehood. He permitted callers to impugn the name and reputation of a number of 18-21 year old young men and women who are guilty of nothing more than working an on-campus job just as hundreds of their classmates do. To his credit he challenged early callers to explain why the information posted by Brooks was an issue at all, but he never came out and said what he had to have known: There was nothing to see here, move on. Eventually Finebaum seemed to tire. He gave in and allowed the monkeys to run the zoo. Callers to his show were given free rein and even when Finebaum knew they were completely off base, he made little effort to halt their wide-ranging and belligerent rants. Finebaum had an opportunity to cut this topic off at the knees. He was well aware that the report by Brooks would be the prime topic of the day. Even the most minimal research would have shown that the details posted by Brooks did not mesh with his conclusions. As a journalist, it should have been Finebaum’s responsibility to seek the truth and provide it to his listeners. By his own admission, he’s no longer a journalist. Finebaum is an entertainer. The truth might have stopped his show cold. After all, what else did his enthusiasts have to talk about today? Better that they should have the sensational topic to chew on than be confronted with the reality that the topic had no merit. In the interest of entertainment, Finebaum sacrificed that truth. In a way he provided a service. He allowed everyone to see the ignorance of his listeners. Finebaum should no longer get a press pass since he isn’t a journalist. F BAUM AND BROOKS ARE GETTING EXACTLY WHAT THEY WANT WHEN EACH ONE OF YOU KEEP TALKING ABOUT THIS. THEY ARE GETTING THE ATTENTION THEY WANT BY YOU LISTENING TO THERE SHOW OR READING THEIR WEBSITE. IM NOT SAYING WE HAVE TO DO NOTHING BUT IM SURE AS H€££ NOT GOING TO KEEP GIVING THEM WHAT THEY WANT. I LOVE THIS FOUNDATION AND I LOVE WHAT IT STANDS FOR BUT IM NOT GOING TO KEEP GIVING FBAUM ALL THIS ATTENTION. Fbaum is the Al Qaeda of college football. He spews and stokes speculation at a level equal to fanatical Mullahs. His followers lose the ability to distinguish fact from fiction similar to cult organizations. One only needs to remember his follower, Brother Al Updyke. He didn’t call the police, or the newspaper. He called his master (Fbaum) and extolled his deeds in honor of his nation’s leader. I have listened to his show hoping to hear good journalism and forensic facts. I must admit that I am substantially dumber for the event. Listened for awhile to get his sponsors, don’t listen for anything else. Quite a group of us have not freqented any of the sponsors businesses. May be a drop in the buckett but shure gives us a warm feeling in the tummy. You guy’s should try it, its the least you can do and it’s so easy. WDE! long way in proving his intent and total lack of scruples . Since he self admittedly is no longer a ” Journalist ” we treat him so . No press passes , no interviews from anyone currently or formerly connected with AU . It’s past time to marginalize this monster . Thanks – I never listen to Finbaum (doctors orders -blood pressure), but I really enjoy reading your rebuttals to his nonsense. I agree with the comment above concerning Finebaum and press passes. Would you consider spearheading an effort by AU ticket holders to lobby our Athletic Administration to not give Finebaum a press pass? I have been a Scholarship Donor since 1990, and I don’t want him at the Iron Bowl unless he pays for a ticket. The word entertainment as defined (act of entertaining that which entertains; performance or show intended to give pleasure; entertainment. The word hate as defined (to dislike intensely; to wish to avoid; a strong feeling of dislike or ill will). Under the definition of entertainment I find nowhere in the definition of entertainment callers calling 18-21 year olds prostitutes or hookers or any other inappropriate term that the callers choose to use. I believe if you refer to the definition of hate it conforms with the tone of the callers on the “4 Hours of Hate” regarding their phone calls on the subject matter of the “Tigerettes”. This is in no way funny, entertaining, but they should receive an apology, but as the “Conduit of Hate” said on the “4 Hours of Hate” earlier about the host of another show that allegedly said something about the “4 Hours of Hate”, that you can take it back, but he believes when you say it you mean it. The choices of entertainment or hate, soley by their definitions, this truly is the “4 Hours of Hate” in every shape, form and meaning of the definition of hate. The choice is yours, entertainment or hate. These people that instigate hatred should be gone. People listen to him and that promotes his kind of reporting. Sometimes it gets way, way out of hand such as the Updyke fiasco. Sad! Auburn likes the “no comment” approach. Whereas normal people would at least attempt to defend themselves, Auburn likes to remain silent while our enemies pound us, ruin our reputations and define us as cheaters. Ruin Cam Newton? No comment. Ruin the reputation of the school? No comment. Trooper Taylor trashed ad infinitum? No comment. Reputations of Tigerettes ruined? No comment. Maybe we should start a petition to ban Finebaum from campus forever. You will get nothing, and like it! Sums up the Finebaum show. The late Bert Bank, founder of U of A radio had finebaum brought here to be the minister of propaganda for bama. He was cleaned up, escorted into a custom tailor shop and “dressed for success”. The Post Herald doesn’t do that for new employees, BTW. He used to deflect criticism by saying he reported negativity about bama. Yes, when it was the REC’s thoughts and wishes. ( All the Mike’s after they embarrassed them ) He serves his masters well and now it’s broadcast world-wide.